I offer a unique massage experience - a distinctive style of bodywork. In the 20+ years that i've been a massage practitioner, i've taken a broad variety of bodywork classes and training. this allows me to create a custom approach, sculpted for your body's needs. The most distinctive aspect of my brand of bodywork is that I use my feet - not my hands - for most of the massage. It allows me to get a deeper comfortable massage while you're on the table. Most people can't distinguish whether I'm using my hands or my feet at a given time; at some points, you'll even experience hands and feet simultaneously! I offer a full massage guarantee. If you don't feel better by the time you get off of the table, you don't pay. The massage I give may not help everybody. My own ethical standards mean that I don't want to be paid for my time unless you felt it was helpful. How's that for simple? I want you to have the best massage experience possible. Here are just a few tips to remember. Be well-hydrated! When you get a massage, your body needs lots of extra fluids before and after your session to minimize discomfort and maximize your results! Let me know if you have any on-going health concerns, are taking medications or supplements, or have any injuries that I can work with. An informed massage practitioner is a happy massage practitioner. Mind-reading is still on my "To Learn" list, so please share with me verbally what level of pressure works best for your body. I like to work in the zone where you can stay relaxed and breathing, even if it requires a little conscious effort on your part. I'm not a doctor, so diagnosing what's going on with your body is beyond my scope. If I feel that it would be important to do so, I'll be happy to refer you to other health care professionals for additional care. See the above note about drinking water. Your body will be like a sponge in need of hydration! The more you drink, the less likely that you'll have post-massage tenderness. With deeper work, you may have some sore spots, similar to when you've worked out for the first time in a while. That's totally normal, and lets us know that we got into some stuff that hasn't been moving as well as it could. Usually, your body gets caught up by the first 2-3 sessions. Call me with any concerns, or if you need a refresher on stretches and exercises we discussed. I OFFER HIGH-QUALITY, HIGH-VALUE THERAPEUTIC MASSAGE SERVICES. Pre-Pay 5 Sessions and Your 6th is Free! We accept Cash, Check, Visa, Mastercard. Currently billing, and accepting insured patients via Personal Injury Protection (PIP) and WA State Labor & Industries Claims (L&I). When you pay me directly at your appointment, I'm able to offer a substantial discount. Thank you for visiting my website and learning more about me and my services. I hope we can work together. Massage is a type of health care that requires trust. Let me earn yours. As far back as high school, massage was a passion of mine. As soon as I was old enough, I went to massage school, and have since enjoyed over 20 years of independent, full time practice working in concert with doctors, and other healthcare professionals. Therapeutic massage allows me to enjoy a physically active professional environment, where I have one-on-one contact with great people. Together, we problem solve the pain and tension they are feeling, and I get to make a positive impact on the world around me, one person at a time! One of the biggest challenges to my practice came in 2007, when I was hit head-on by a drunk driver. This accident caused some permanent nerve damage to my hands, and I opted to get creative! After some retraining time, I came back stronger than ever, by using my feet to do about 70-80% of my work. Legs are stronger than hands, the pressure is broad and even more comfortable, and you, as the client, get about 50% more body coverage per session than I was previously able to provide with hands alone. Over the past 20+ years, I've taken a variety of classes, and trained in different types of massage. This, along with the practical experience I've had, gives me LOTS of tools to utilize during our sessions. If something doesn't work as well for you, there's always another option, another idea, another solution. Taught at a local massage school. Worked within businesses to help them lower injury rates. Assisted clients during labor and delivery at the hospital. Facilitated in recovery from injuries as intense as a broken pelvis or back. Aided in post-surgical recuperation from joint replacements. Helped to manage pain from illnesses like MS, cancer, and fibromyalgia. 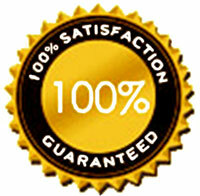 As part of my commitment to quality, my massage is GUARANTEED. If you don't feel improvement by the time you get off the table, you don't pay. It's that simple. Also, I actively support the Lesbian/Gay/Bi/Transgender/Queer (LGBTQ) community and I've the pleasure of calling many within that community my business associates, friends, and family. Please expect tolerance, kindness, and compassion when visiting.